A combined bidet toilet unit is a great option to consider if you are replacing your existing toilet. 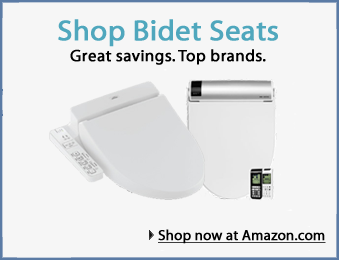 Instead of buying a new toilet and bidet seat separately, there are all-in-one toilet bidets that you can purchase that have the bidet function built right into the toilet. These bidet toilet combos offer many advantages. 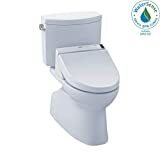 The integrated design allows for easy cleaning, the whole toilet is electric-powered so you can have features like automatic flushing (bidet seats don’t have this feature), and you have less to worry about when it comes to warranty and installation since you’re dealing with one product instead of two: a toilet and a separate bidet seat. Of course, the single product combination toilet bidet will definitely look more pleasing aesthetically than installing two products together that are not uniquely designed for each other. While bidet toilet combos aren’t the norm in new home constructions outside of Asia, they are in Japan, where electric bidets were invented. In fact most Japanese homes today have a combined electric bidet toilet. Naturally, Japanese bidet toilet combo units are some of the best in quality and function. Many Japanese electronics manufacturers produce them. But many manufacturers outside of Japan have caught up and they make quality all-in-one toilet and bidets too. That means we have plenty of great choices to choose from. 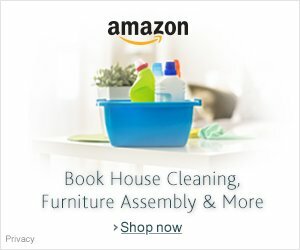 But which brand and model should you get? Below, we’ll show you the best bidet toilet combos that we think will be great additions to your bathroom. The Toto Washlet G400 is one of the bestselling combination toilet bidets today. It is made by Toto, the leading manufacturer of toilets in Japan. Simply put, if you’re overwhelmed by your choices, pick the Toto G400. The G400 has a compact and clean skirted design with many amazing features. The skirted design makes it easier to clean the bowl exterior. This toilet is super comfortable to sit on – the seat is at just the right angle. It is designed at Universal Height which allows a wide range of users to sit comfortably. When you walk up to the toilet, the sensor will detect your movement and open the toilet seat lid for you. It has a deodorizer that starts to work to eliminate odor once you sit down. Then a pre-mist will wet the bowl to prevent dirt from sticking. After you stand up, the toilet will flush automatically. And then the toilet seat lid will close automatically. The overall experience is, in one word, fantastic. Of course, it has many must-have features of an electric bidet like a heated seat with adjustable temperature and customizable bidet spray. Water-saving dual flushing system. 1.28 gallons per flush and 0.9 gallons per flush. Tornado Flush (centrifugal rinsing action that uses less water and rinses the bowl better). Rear and front washes with adjustable temperature and pressure. 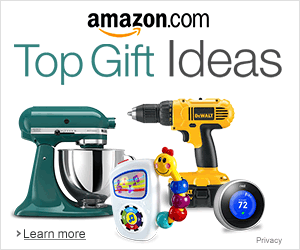 It has oscillating and pulsing options. Heated seat with temperature control, warm air dryer, and deodorizer. Automatic flush and automatic open and close lid. CeFiONtect ceramic glaze surface for durability and cleanliness. Universal Height, ADA compliant, CALGreen compliant, and WaterSense certified. Skirted design looks great and is easy to clean. Has all the important features you would want from an electric bidet. Not the least expensive (but also not the most expensive). This isn’t exactly a toilet bidet combo, but if you like the G400 and want to spend a bit less to get something similar, we want to show you another option that you can consider. Toto makes everything from toilets to bidet seats and bidet toilet combos. The interesting thing is that some of their bidet seats are designed to fit perfectly on some of their toilets. You can purchase their Toto C200 bidet seat, for instance, to use with their Vespin II toilet and get something very similar to a combined toilet and bidet unit. In fact, you can mix and match their other bidet seats and toilets. So you instead of the Toto C200 you can get the Toto S300e with the Vespin II, or the S350e with the Vespin II. But because the whole toilet is electric-powered, it won’t be able to flush automatically. Otherwise, most of the features are integrated into the bidet seat itself, so you’ll have the heated seat and wash functions among other features. The Toto C200 and the Vespin II is a solid and good-value combination. You can take a closer look at the key features of the Toto C200 bidet seat here or take a look at how it compares it to the similar Toto C100 bidet seat. If you want to match the toilet with a bidet seat that’s a bit more luxurious – with nightlight and automatic open and close lid – then the Toto S350e bidet seat is a better choice. The least expensive “combo” bidet toilet. You can mix and match the bidet seat and toilet to get the features and look you want. Can be very eco-friendly. For example the Vespin II toilet uses only 1.0 gallon of water per flush. No automatic flush because it’s not a fully integrated bidet toilet. No skirted, clean design like the integrated bidet toilet. A little more cumbersome to install than a fully integrated unit. The king of combined bidet toilets is arguably the Toto Neorest 700H. This integrated bidet and toilet is unmatched in terms of luxury and ecology. There isn’t anything that another toilet can do that the Neorest can’t. For comparison purposes, it has all the features of the Toto G400 plus a nightlight, ewater+ (electrolyzed water) sanitation that keeps the bowl clean after every flush, and it saves even more water per flush. It has a dual flushing system that uses one gallon of water (or less) per flush. In terms of comfort, it’s hard to describe in words but it definitely feels a lot nicer to use overall than the Toto G400, even though the G400 is not bad by any means. You’ll find yourself asking, can using a toilet really feel this good? It’s even more comfortable to sit on than most chairs. The one drawback is that it’s bloody expensive. Not many people are willing to drop thousands on a bidet toilet. But those who did tend to look back at a later date and say that it was money well spent. After all, the toilet is something you’ll use every day. You might want to skip installing one of these in your guest bathroom, though, and save it for your master bathroom. Water-saving dual flushing system. 1.0 gallons per flush and 0.8 gallons per flush. Electrolyzed water sanitation that keeps the wand and bowl clean after every flush. Beautiful modern design. The “supercar” of toilets. The best user experience in terms of features, luxury and comfort. Very eco-friendly – uses only 1.0 gallon of water or less per flush, which means huge savings on your energy bill too. Toto Neorest 700H vs. Toto Neorest 750H: Toto also makes a very similar model called the Neorest 750H. This one has a proprietary technology called Actilight which uses a UV light and a “special glaze” alongside electrolyzed water to clean the bowl. But we don’t think it’s worth paying thousands extra just for this feature, so we recommend getting the Neorest 700H instead. The Kohler Veil integrated bidet toilet is one that epitomizes minimalist design. 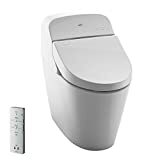 It’s a beautiful toilet that offers ultimate comfort and all of the features that the best Japanese toilet bidet combinations offer, but made by an American company. 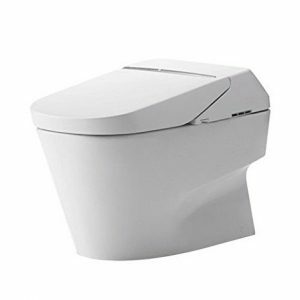 In fact it’s very similar to the Toto Neorest 700H. It’s comfortable to use and has all the luxurious features, but it comes with a similar price tag too. Considering the Neorest 700H vs. the Kohler Veil? You might choose one over the other simply because of how they look. There are but two major differences in terms of function. The first is the Neorest 700H uses slightly less water per flush than the Kohler Veil for its “large” flush (1.28 gallons vs. 1.0 gallon). Both use a dual flushing system and their smaller flush uses the same 0.8 gallons of water per flush. The second is the Kohler Veil uses UV light and electrolyzed water to clean the wand, whereas the 700H uses electrolyzed water to keep the wand and bowl clean. Water-saving dual flushing system. 1.28 gallons per flush and 0.8 gallons per flush. UV light and electrolyzed water to clean the wand. California Energy Commission and CALGreen compliant, and WaterSense certified. Beautiful, comfortable minimalist design. Easy to wipe down and keep clean. Easy to use touchscreen LCD remote control. If you ask us to pick one bidet toilet combo between all the choices we recommend, we’ll have to go with the Toto Washlet G400. If price wasn’t a factor we would go with the Toto Neorest 700H, because there’s simply nothing that provides the same comfort and luxury feel as the Neorest. But because we think that most people don’t want to shell out thousands on a toilet, we think that the Toto G400 is the best choice. The overall experience is fantastic with this bidet toilet. And while it lacks a nightlight and electrolyzed water sanitation that the Neorest 700H has, we don’t think that the lack of these features are deal breakers at all. Toto, being the leader in toilet product manufacturing, is a brand you can trust and the Toto G400 is a well-made, high-quality toilet.